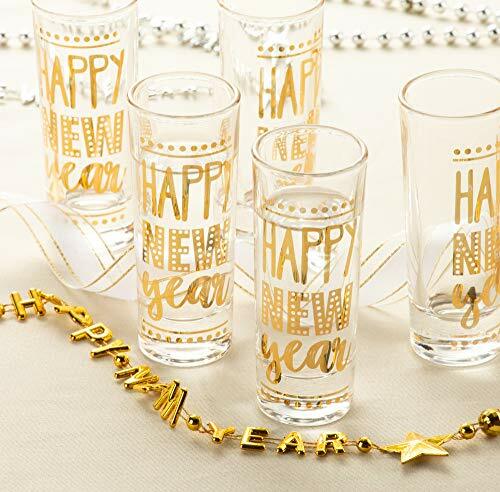 New Year shot glasses set is the ideal novelty gift for any holiday party. It’s an affordable gift that will not disappoint. The glassware set is the perfect gift for everyone: your partner, friend, coworkers, cousins, sisters, brothers, and even for yourself! 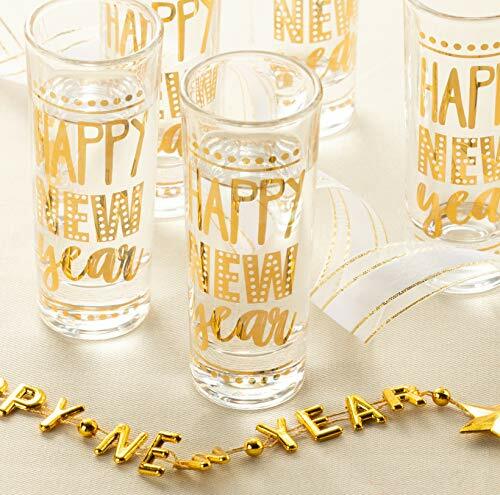 Even if you don’t necessarily drink shots, they look great sitting on your shelves and kitchen table.TIME TO CELEBRATE: A set of 5 New Year’s party shot glasses that is sure to make everyone enjoy the celebration. 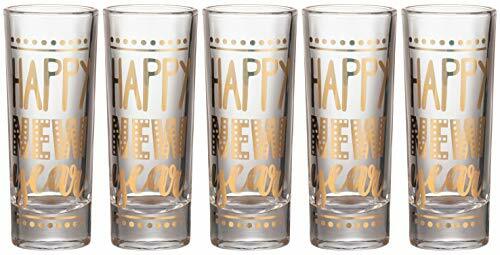 Each glass has a “Happy New Year” print in metallic gold foil. Use these elegant shot glasses in your next end of year party. PREMIUM MATERIAL: High quality and well-made glassware. The glasses have thick and sturdy bases that last throughout all the party fun time. IDEAL PRESENT: Awesome gift set for New Year’s Eve and New Year’s party celebration. It will definitely get put to use and goes great with the other party supplies. PRACTICAL DRINKWARE: Ideal glasses for house party or pregame during the count down. Also, look great as a display in kitchen or decoration around the house. DIMENSIONS: Each measures 4 inches tall and 1.5 inches diameter, holds 2 ounces of your favorite liquor.